We also offer various discounts. For more information, please contact our office today. Karen Saminski, Esq. attends Advanced Family Mediation Training to keep abreast of the latest mediation strategies and ideas that can help resolve conflicts between parties. Karen Saminski, Esq. participates as a presenter in the Continuing Legal Education program "Handling Child Abuse and Neglect Issues in Family Court" sponsored by the Hudson County Bar Association on February 25th. This critical new seminar is designed to provide attorneys with the skills and knowledge on how to best advocate for parents concerned about child abuse and neglect or accused of child abuse or neglect in private custody disputes. Karen Saminski, Esq., associates and staff attend the NJSBA Annual Meeting and Convention in Atlantic City. The Convention is the largest gathering of the state's legal community. 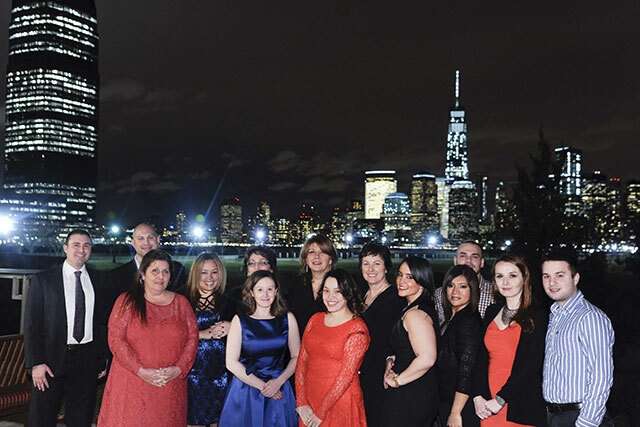 Our team at Karen Kirchoff Saminski, Esq., LLC celebrates the holidays at the Liberty House in Jersey City. 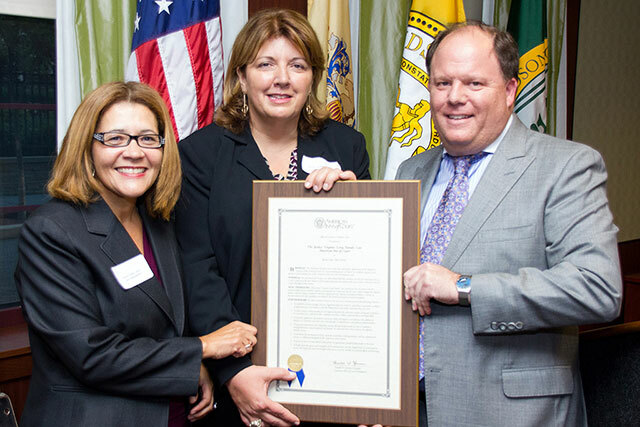 On Oct. 2, New Jersey Supreme Court justices, judges, attorneys and judicial law clerks from around the state attended the inaugural celebration of The Justice Virginia Long Family Law American Inn of Court. 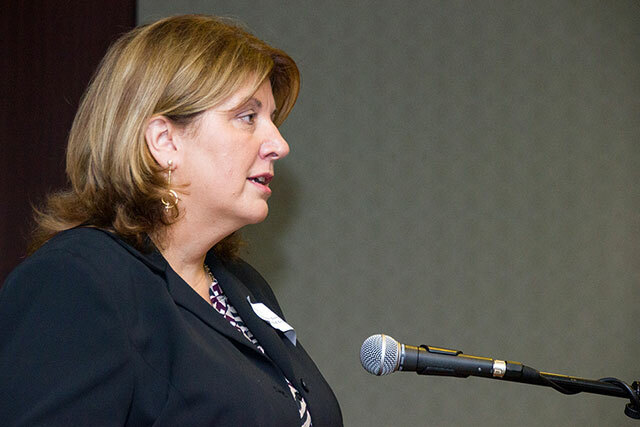 The opening session reception took place at the Hudson County Culinary Institute in Jersey City, N.J. New Jersey Supreme Court Justice Virginia Long was introduced by her colleague, New Jersey Supreme Court Justice Barry Albin, then spoke on professionalism in the practice of law. The Inn is an association of legal professionals organized to enhance and improve the professional and ethical quality of family law practice. The programs that will be offered throughout the year are designed to increase advocacy skills, collegiality and professionalism. 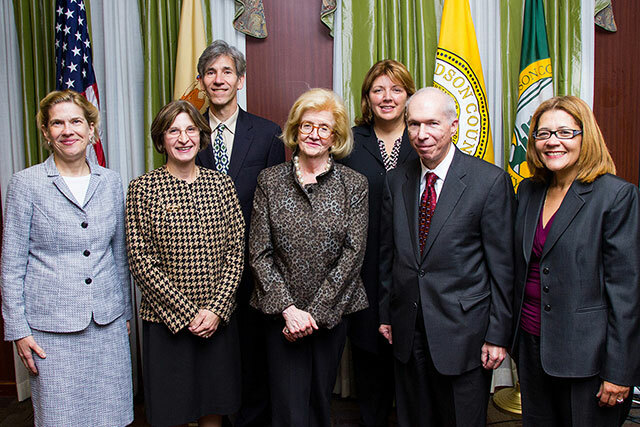 Shown, from left, front row: Justice Anne Patterson, Justice Jaynee LaVecchia, Justice Virginia Long, Justice Albin and Evelyn Padin, Esq., Vice President of the Inn; back row: Kevin Kelly, Esq., Inn Counselor, and Karen Saminski, Esq., President of the Inn. Karen Saminski, Esq., President of The Justice Virginia Long Family Law American Inn of Court, speaking at the Inn's Opening Session. Evelyn Padin, Esq., Vice President and Karen Saminski, Esq., President of The Justice Virginia Long Family Law American Inn of Court receive the Inn charter from Andrew Turner, Esq. Member of The National Board of Trustees for the American Inns of Court Foundation on October 2, 2014.